Over 35 pages of information, examples and worksheets! Step-by-step guide to walk you through creating a preparedness plan for your family. 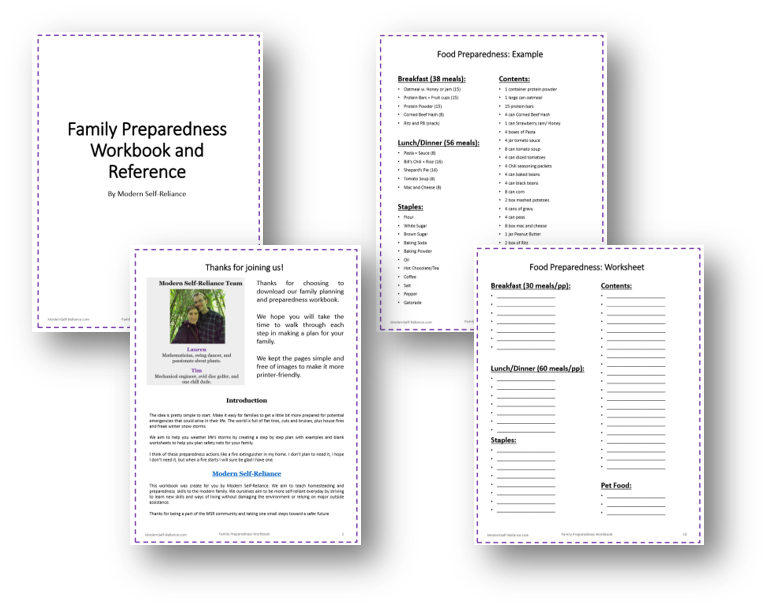 Each section includes important information, things to consider, an example plan for my family and a blank worksheet for your family. All this is available for FREE today. Simply sign-up below. Reader's review: "I found it to be very informative...I am a list person, so I found the example lists of supplies, etc helpful."